In our previous blog, we talked about how to use online reviews to find a new dentist for your family. But what do you do after you find that dentist? Online reviews or a tip from a friend isn’t enough to ensure that the office you’ve chosen is actually right for you – you’ll need to do just a little more digging. 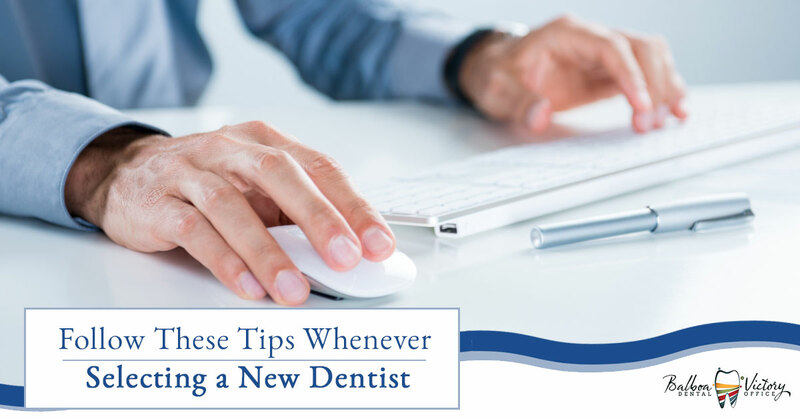 When you contact a dentist’s office for the first time, you should immediately begin by asking a few important questions. Today, we’ll cover the questions we get from patients all the time, and why they are important to know the answers to before you schedule. Not all dental insurance policies are a PPO (preferred partner organization) plan, but most are. Before you ever schedule an appointment with a dentist’s office you need to know if they not only accept your type of insurance, but are a participant in your PPO network. Granted, this question is often better answered by your insurance provider or broker themselves, as their answer will be the most up-to-date and generally accurate. Seems obvious, but you’ll kick yourself later if you have to pay for an initial screening that should have been free to a dentist that you’re not likely to come back to. Ouch. There is this huge misconception among patients everywhere that healthcare pricing is this mystery that can only be solved after care has been performed. While there are certainly unforeseeable things that happen, many of which do alter an estimated price, all medical practices know their general pricing structure. So, if you’re anxious about how much your visit to Dentist A is going to cost, call their office and ask for an estimate on common services – just be sure to tell them your insurance provider so all discounts and negotiated rates can be included. If you discover that Dentist A is actually 10% more expensive than Dentist B, then you’ll have a great reason for choosing the latter as your provider. Sometimes the best dentist for you is 15 miles away from your home or work, sometimes it’s right next door. While we think it is important that you find a dentist that is close enough to be convenient and easily accessed in the event of an emergency, there is nothing saying that you need to settle for the closest dentist to home or work that accepts your insurance. Think about it like this: You’re probably only going to be going to the dentist a couple of times a year, plus or minus a visit if you’ve got children’s appointments to juggle around. Either way, you won’t be visiting the dentist on a daily basis, so does it really need to be as convenient as the coffee shop you hit up before work? No, of course not. Your dentist can easily be located a bit further away, because it’s worth the trip to get the right dental care for your family at a place you can feel good about. If you’re a busybody that missed more than your fair share of appointments at the last minute, you should ask upfront what their appointment cancellation and rescheduling policies are, as well as any charges or fees that may be associated with those. Another valuable question is whether or not the office accepts same-day appointments in the event of a dental emergency, as well as any price increases associated with that service. Think of any other questions you may have, even if you think the answer is a given, and be sure to write them out to ask when you make your first inquiry to the dental office. The added benefit here is that any office staff that is unwilling or unable to answer your questions before you’re a patient is likely not going to take very good care of your family after you’ve already committed to that practice. Don’t forget to also ask when the doctor will be able to see your family, as this round of questioning doesn’t mean much if you circle back in a week only to find that they’re booked out for 4 months. While we can’t speak for you, it is a common practice here to never order food from a restaurant we haven’t visited at least once. That initial visit is important to see what kind of place it is because, as it turns out, food quality is pretty important. In that first visit, we’re looking for customer service, attentiveness, cleanliness, and a generally good vibe – if those things aren’t present, we’re either walking out or eating there only once. Your dentist’s office should be treated much the same way, but can only be judged in such a way if you’re looking at your experience from the perspective of a customer first and patient second. So pay your dentist’s office a visit. Ask the above questions over the phone first, of course, then stop into the office in person to schedule your first appointment. At this time, you should be able to meet the dentist, take a look around, get a feel for the staff, and make your decision based on whether or not you like what you see. If you get a good feeling, schedule your first appointment and congratulate yourself on a job well done; if you don’t, just tell them you’ll call them to schedule, thank them for their time, and continue the search – your oral health is worth that! Get in touch with the friendly staff at Balboa Victory Dental with any questions you may have about our dental care, practices, and other office information based upon what you’ve discovered online – we love to answer those questions! At the end of the day, our entire staff just wants to assist your family in finding the dental care that is best for you, so we’re truly happy to help in any way. Give us a call to learn all about our practice and then schedule a time to come in and briefly meet with your dentist and get a feel for the staff and environment at Balboa Victory Dental.